Jose Mourinho has said he is looking to for a return to football management – and may already be ringing around his agent and contacts for a new job. 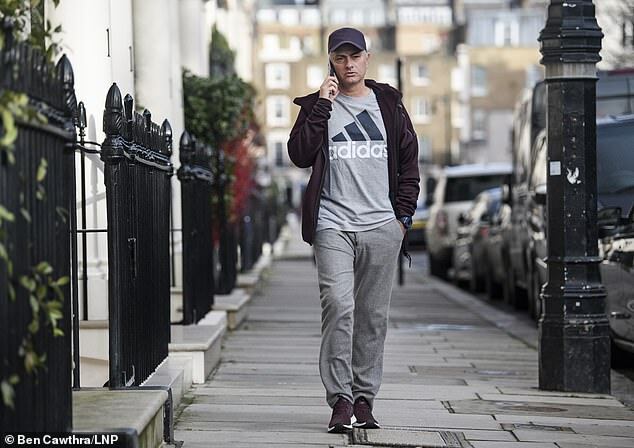 The former Manchester United manager was pictured in London on Thursday, strolling down the street while speaking on his mobile. 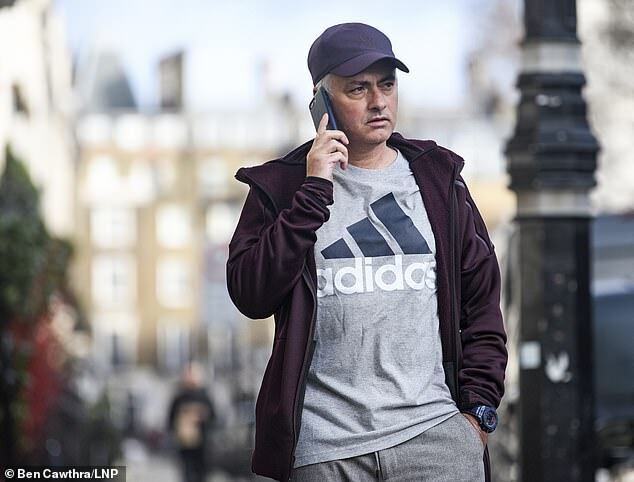 As on Wednesday, when he spoke to the media for the first time since leaving United, Mourinho was dressed down in an adidas t-shirt and grey tracksuit bottoms. In a statement released on Wednesday, Mourinho said he was proud of his time at United – who sacked him on Tuesday – and that he was now looking to the future and a return to coaching. Mourinho has been linked with a return to Real Madrid, who have reportedly offered an £18million-a-year deal to take over at the Bernabeu in the summer. Ole Gunnar Solskjaer has taken over from him at United on an interim basis, while former Real manager Zinedine Zidane is said to be contemplating an offer to become manager at Old Trafford next summer. According to Spanish outlet AS, the Frenchman wants his next career move to be to the Premier League and stated he wanted to return to the game in time for the 2019-20 season. Mourinho was sacked by United after a 3-1 defeat at rivals Liverpool, with United on their worst points total after 17 games since the birth of the Premier League in 1992.